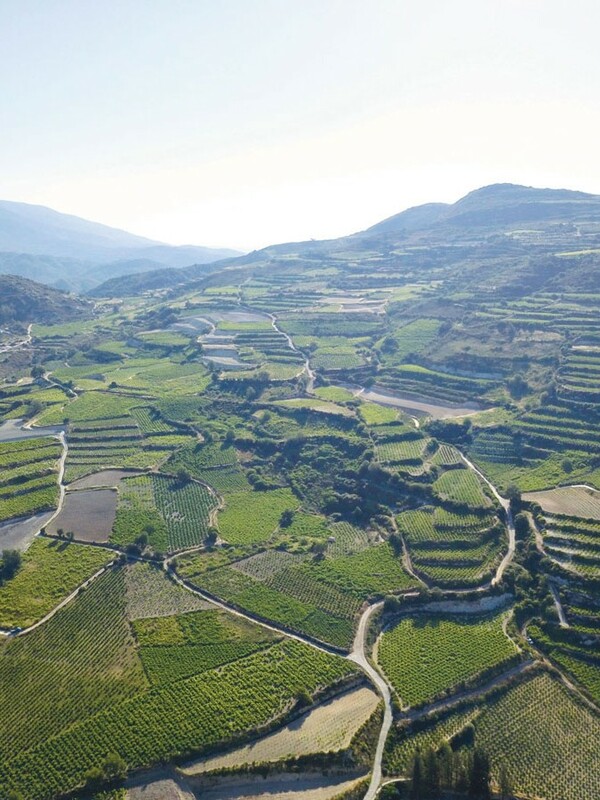 On the hillside-filled vineyards, at an altitude fluctuating between 800 metres (Laona’s summit) and 1060 metres (Afamis’ summit), the winery “Oenou Yi – Ktima Vassiliades” maintains the tradition of the Mediterranean vineyard. The rich wine tradition of the region is an irrepressible witness to ideal wine-growing conditions over time. A relationship that lasts for centuries. The mountainous nature is tamed to the hardworking people of Omodos, creating a vast landscape of lush and fruitful vineyards. Amidst the unsociable white, rocky soils, the old and newly-planted grape vines spread their roots in search of precious pockets of moisture to nourish and encourage their growth. Rocky soils eventually show off the sought-after mineral notes in wine. The fruits of the mountain vineyards vary from all the others, developing more savory flesh, rich structure and bright acidity. 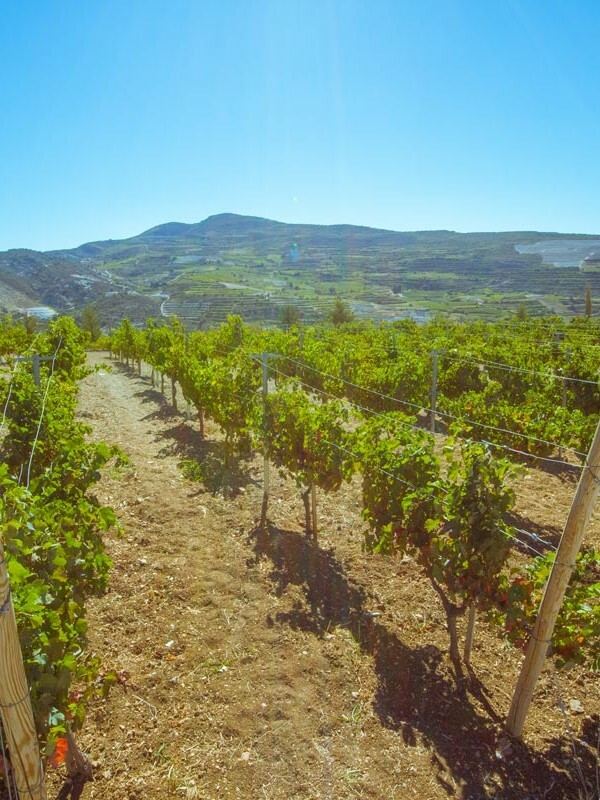 Ktima Vassiliades focuses on preserving the winegrowing tradition of Omodos, utilizing the unique altitude of the region that contributes decisively to the development of vineyards. Priority is given to native varieties of Cyprus such as Xynisteri, Maratheftiko, Giannoudi, while the international varieties, Shyraz, Merlot, Cabernet Sauvignon are equally exploited. With respect to traditional practices, the winery utilizes the linear vineyard steps, which facilitate the cultivation methods while at the same time the sturdy supporting walls, built from traditional Omodos stone, prevent the erosion of the soil. By the end of each summer, the vineyard pays back the everyday care given by its growers, gifting the precious fruits of the vine. Omodos is fortunate to be exposed the penetrating golden rays of the Mediterranean sun, a feature that can be detected in each sip of ‘Oenou Yi – Ktima Vassiliades’ fine wine.